No sunshine, but lots of shiny lemons and oranges for the Fête du Citron. 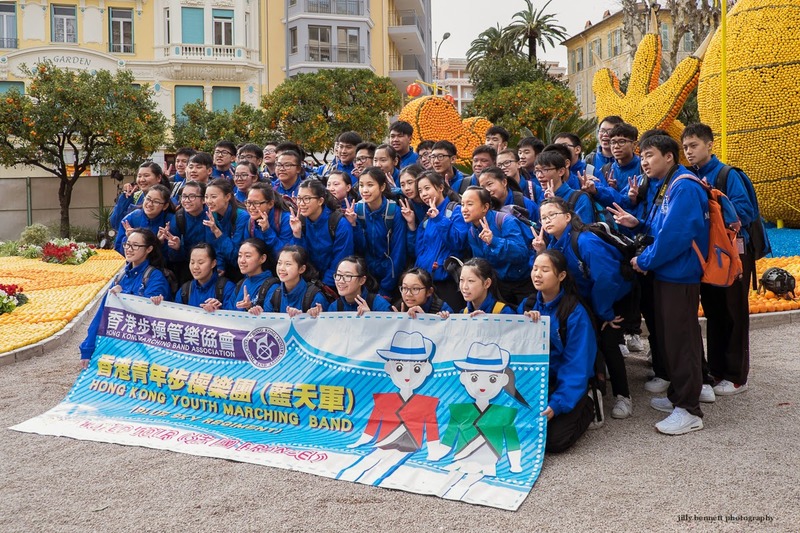 These happy kids are part of the Hong Kong Youth Marching Band, in Menton to play at the festival. The subject this year: the Tribulations of a Lemon in China. Pas de soleil, mais beaucoup de citrons et d'oranges brillants pour la Fête du Citron. Ces jeunes joyeux font partie de la Hong Kong Youth Marching Band, présente à Menton pour participer au festival. Le sujet de cette année: Les tribulations d'un citron en Chine. When life gives you lemons, make a fête! Love it! 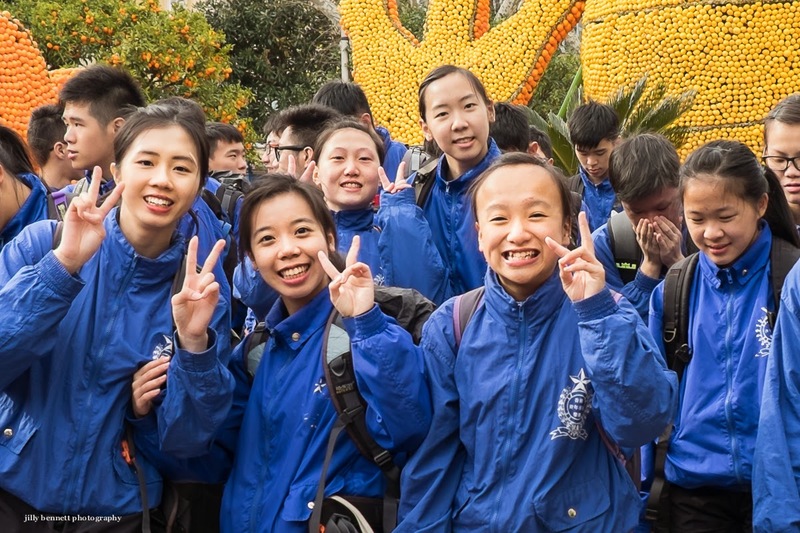 love the smiles and the fact that Hong Kong is represented in Menton .. but the theme of the festival this year intrigues me .. why would a lemon have tribulations in China ... I have Googled the subject and found several references to the Fête du Citron festival but so far I have not found an explanation for the trouble a lemon might have in China ... interesting. Tribulations? Are lemons in danger in China? I bet they gave a good performance. Denton, it's just for fun. Menton is known as the 'city of lemons' and every year we have this festival. Each display is shown with the cartoon of a lemon - so, for instance there is a panda made of lemons and oranges and the cartoon lemon is suddenly black and white.